This entry was posted in bath and body, cosmetic recipes, facial masks, Natures Garden and tagged activated charcoal face mask, bentonite clay face mask, candy cane facial mask, clay for facials, cosmetic clay, cosmetic clays, cosmetic recipes, diy facial masks, facial mask recipes, firming face mask, free face mask recipes, green clay face mask, green face mask, herbs for facials, homemade facial masks, how do i know which facial mask recipe to use for my skin, how to create a facial mask, how to make a face mask at home, lavender face mask, natures garden, red clay face mask, refreshing face mask, rose clay face mask, soothing facial mask, turmeric face mask, types of facial masks, what is a face mask, what is in a facial mask, where do i get ingredients for face masks on February 19, 2019 by Deborah Ward. There are so many homemade facial mask recipes out there how do you determine which one you should use? Below, Natures Garden will look at 10 face mask recipes and their ingredients to help you decide. So, whether you are looking for a facial mask to help with acne, to pull out blackheads, or to help give you a glowing complexion, we are here to help. First, let’s look at a few ingredients used in a homemade facial mask recipe. While there are many combinations that can be used in these recipes, there are a few key ingredients needed to formulate a facial mask recipe. Of course, you need a cosmetic clay. This is will help your mask harden. You have several options but we will look at each one below. You will notice, each of our recipes will include vegetable glycerin. Glycerin is used to help pull moisture back into your skin. A facial mask can help pull impurities out of your skin but it also can pull moisture from your skin. It is important to use an ingredient that will put that lost moisture back into your skin. So, let’s look at these two ingredients a little closer. Vegetable glycerin is a humectant. Humectants will draw moisture to your skin. This will help leave your skin moisturized and not dry. It is a thick, clear, odorless liquid. Vegetable Glycerin is very thick in consistency. It is not only used in facial masks but also soap making, lotion making, and other household items. There are several choices when looking at cosmetic clay. Below, we will take a closer look at each one. We will also talk about each one. Bentonite clay, also known as sodium bentonite, is beige green in color. When water is added it will give your products a glide. In cosmetic recipes, it will help to remove toxins and impurities. Dead Sea clay will provide your skin with rich nutrients. It is rich in iron, aluminum, potassium, and calcium. It also helps to remove toxins and dead skin cells. French green clay naturally has minerals that will help nourish your skin. When used in a homemade facial mask, it will help remove impurities as it dries. French Green Clay also helps to shrink the size of your pores as it dries. 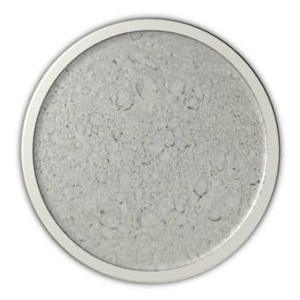 Kaolin Clay is white clay that is a great option for sensitive skin. It is most often used in makeups. However, just like most cosmetic clays, kaolin clay helps cleanse the skin by removing toxins. Red Moroccan Clay powder is another great clay for homemade facial mask recipes. It will help remove impurities from the skin. It also will help shrink the size of your pores. However, it is also very moisturizing for your skin. Rhassoul clay is another popular clay for facial mask recipes. It contains a wide range of skin-loving minerals like sodium silicon, iron, potassium, magnesium. These minerals help not only cleanse the skin but also tone the skin. Rhassoul clay is used in many luxury spas to help with the reduction of pore size, and to help remove dead skin cells smoothing the skin. Rose clay is another great option for sensitive skin. It contains many skin loving minerals. It also helps to pull toxins from your skin. 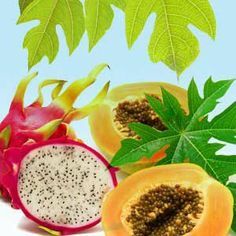 In addition, it helps to increase circulation, it helps with skin irritation, and finally to reduce inflammation. The great thing about creating your own products is that you get to choose what goes in them. Why not use natural ingredients to help your skin. Herbs make a wonderful addition to facial mask recipes. So, you can choose the herb or herbs to fit the type of facial mask you are creating. There really are so many options. You can read about some of the benefits of each one and choose the herb that fits your needs best in our cosmetic herb classes. Then, infuse them into your homemade facial mask recipe. Now, let’s look at our first recipe, the activated charcoal mask recipes. So, this recipe contains vitamin E and vegetable glycerin, but what makes it truly unique is the addition of activated charcoal. Activated charcoal is a detoxifier. It will cleanse and detoxify your skin. Next, the Candy Cane Facial Mask Recipe contains both beet root powder and hibiscus powder. Beet root powder contains high levels of nutrients including B vitamins and vitamin C. It also contains potassium and magnesium. The Chocolate Facial Mask Recipe uses organic cocoa powder. Indulge in a sweet treat without the calories. The organic cocoa powder contains caffeine which is actually beneficial for the skin. The firming facial mask recipe uses the addition of hibiscus powder. Hibiscus powder is called a natural Botox by some. So, it will help smooth wrinkles, tone the skin, and right acne. The Lucky Leprechaun Face Mask Recipe uses both alfalfa powder and spirulina powder. This is a fun St Patrick’s Day recipe. The spirulina powder gives the face mask a green color. In addition, the alfalfa gives the mask additional cleansing and purifying properties. The pumpkin facial mask recipe uses pumpkin seed powder. Pumpkin seed powder is used for its anti-aging properties. 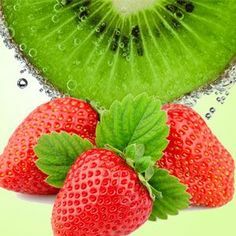 It is rich in vitamins and antioxidants. It also has skin softening properties. The refreshing facial mask recipe is probably our most popular face mask recipe. In fact, it both peppermint powder and peppermint leaf. The mask is infused with peppermint which provides a cooling effect. It leaves your skin feeling refreshed and relieved. Now, the Soothing Facial Mask is the perfect way to soothe your skin and promote healthy cell regeneration. This is due to the addition of comfrey root. In addition, it contains chamomile which is great for softening the skin and is fabulous for wrinkles. Burdock root is added due to its treatment of skin conditions like acne, eczema, and psoriasis. Finally, it contains dandelion root which is great for age spots and skin blemishes as well. Finally, we have a turmeric facial mask recipe. What is so special about turmeric? First, it helps your skin glow and look healthy. In addition, it is a wonderful anti aging herb, great for skin conditions like eczema, psoriasis, and acne. Lastly, some have found it to heal and help with dry skin. So, we have talked about a few of the key ingredients. We have also talked about some of the recipes that we have formulated. Now, let’s talk about creating a facial mask. Well, there are a couple of options here. First, you have to decide if you want to use a preservative. A preservative is important anytime there is a presence of water in a product that will be stored, like in a facial mask. A preservative is going to prevent bacteria. Other ingredients, like vitamin E, may work as antioxidants, but antioxidants do not stop the growth of bacteria. They simply slow oxidation. So, preservatives are needed to prevent bacteria growth. Now, some do not want to use preservatives in their products. Well, you do have another option. You can very easily mix your powdered ingredients such as your clay and powdered herbs together. Then, place this mixture in a jar. Separately, place vegetable glycerin in a bottle. You can then sell the jar and bottle as set along with mixing instructions. Not only does this option allow you to exclude a preservative, but there are also a couple other benefits. It is also a quick product to make. Finally, it will have a much longer shelf life. You can see an example of a facial mask created like this in the activated charcoal face mask recipe. However, those that want to mix their facial mask ahead of time so there is no mixing needed, you can see how to do this in the refreshing facial mask recipe. Once you have formulated your facial mask recipe to yours, or your customer’s skin type, it is time to use it. So, at this time, if needed mix the facial mask according to the instructions. Then, simply apply a layer to your face. Allow the mask to harden before removing it using warm water. Note: Natures Garden sells our clays and herbs for external use only. We do not sell them as food items. (The information we provide is for educational purposes only. This information is not intended to diagnose, cure, treat, or prevent any disease. This information has not been evaluated by the Food and Drug Administration). Keep all clays and herbs out of reach of children and pets. Special care should be taken by pregnant and/or lactating women when handling herbs. Natures Garden accepts no responsibility (written or implied) for any products you make with our herbs. All testing is the responsibility of the customer. 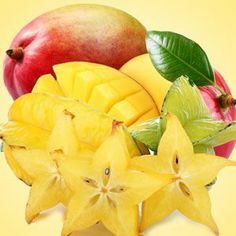 This entry was posted in clays, cosmetic clays, cosmetic ingredients, cosmetic recipe, Cosmetic Rose CLay, cosmetic supplies and tagged antiaging face mask, bath and beauty recipes, bath and body products, bath bomb, bentonite clay, Bentonite Clay Powder, buy clays, buy cosmetic clays, chamomile clay soap recipe, clay facial, clay used in cosmetics, cosmetic clays, cosmetic grade bentonite clay, Dead Sea Clay Powder, difference between bentonite and kaolin, Firming Facial Mask Recipe, French Green Clay Powder, homemade bath and beauty recipes, homemade body products, homemade soaps, kaolin clay in cosmetics, Kaolin White Clay Powder, Lavender Sage Bath Bomb Recipe, lavender sage fragrance oil, Mechanics Soap Recipe, Moonlight Tuberose Swirled Soap Recipe, natures garden, purchase kaoling clay, red moroccan clay powder, reduce signs of aging, Rhassoul Clay Powder, rose clay powder, use clays in recipes, Use Cosmetic Clay in Your Recipes, where to buy bentonite clay, Whipped Rose Clay Shaving Cream Recipe, white cosmetic clay, Wild Bath Bomb Recipe on February 6, 2018 by Deborah Ward. Cosmetic clays are wonderful for creating bath and body products that care for your body. We at Natures Garden carry several kinds of nourishing clays that can be used to create some amazing products. If you would like to use cosmetic clay in your recipes, then it may be helpful to learn a bit about each of the clays that you could use. Each clay is made of different minerals. So, each clay will provide slightly different properties for your skin and hair. Plus, you can combine a few of your favorite clays to create the perfect recipe! Some cosmetic clays are best suited for those with sensitive skin and others are perfect for reducing signs of aging. But, no matter which properties that you prefer, you are sure to find a clay that suits you and your homemade body products best. 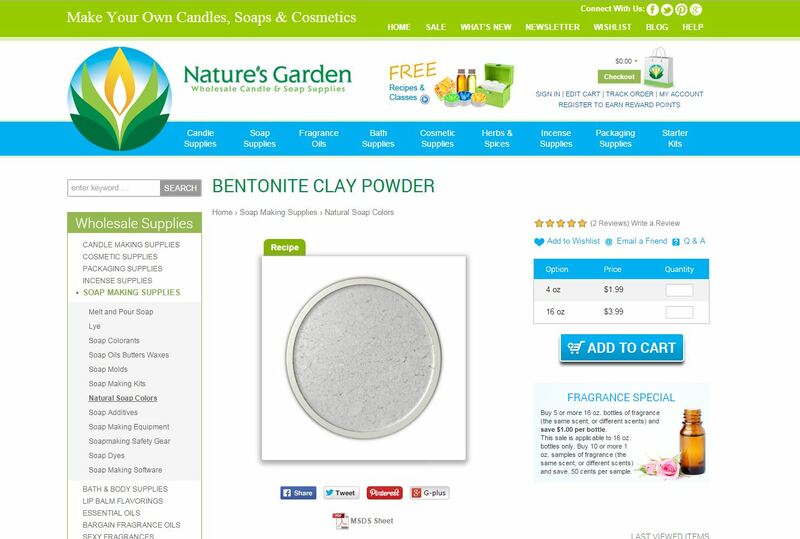 Bentonite clay is a naturally occurring clay that has some wonderful cosmetic properties. This clay is very absorbent and has been known to be an effective healing clay for ailments like cuts, burns, or insect bits. So, this cosmetic clay can be used to remove oils, clean impurities, and soften the skin. Also, this clay can be used to soothe many skin irritations, such as eczema, chicken pox, or psoriasis. Further, this cosmetic ingredient can be included in powder recipes to reduce redness and irritation. These useful skin care properties make this cosmetic ingredient perfect for creating homemade bath and beauty recipes. One great homemade soap recipe that you can create with this cosmetic clay is the Moonlight Tuberose Swirled Soap Recipe. This melt and pour soap recipe uses several skin loving cosmetic clays to add to its lovely design and skin loving properties. First, the bentonite clay is combined with a few other cosmetic clays to create a swirled design. Unlike cold process soaps, it can be very difficult to swirl melt and pour soap. So, the clays are necessary to prevent your colored soap from mixing as you swirl. Also, this clay is wonderful for your skin! Not only is this cosmetic ingredient useful for absorbing oils and impurities, but this clay is useful for soothing certain skin irritations and leaving your skin soft. So, this cosmetic ingredient is perfect for creating a melt and pour soap recipe that is gorgeous and cares for your body. Another amazing product that you can create with bentonite clay is the Lavender Sage Bath Bomb Recipe. This lovely bath bomb recipe includes lovely herbs and clays that enhance the experience of your bath. The herbs, lavender flowers and rose petals, are used to provide a strong, gorgeous aroma. So, these herbs will enhance the scent of the Lavender Sage Fragrance Oil. Then, the cosmetic clay is included to soften, cleanse, and soothe the skin. This will provide you with a bath and body product that smells lovely and really cares for your body! Kaolin white clay powder is a wonderful cosmetic clay for creating bath and body recipes. First of all, this cosmetic ingredient is perfect for sensitive skin, as this is a gentle cosmetic clay. This means that this is a cosmetic clay that nearly anyone can enjoy in their bath and body products, which is why this is one of the most commonly used cosmetic clay. 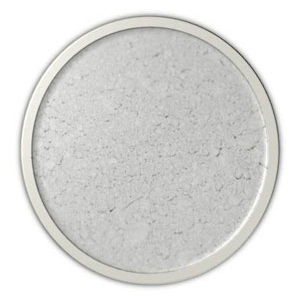 Plus, this white clay can be used to create mineral makeup, like eyeshadow or blush. Also, kaolin clay can be used to cleanse, exfoliate the dead skin, and stimulate circulation. So, it is a great choice for creating a variety of bath and body products. Kaolin white clay can be used to benefit both your body and your products. First, this cosmetic clay can provide some beneficial properties for your bath and body products. 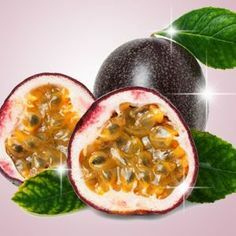 In the Wild Bath Bomb Recipe, this lovely cosmetic ingredient is included to nourish the skin and benefit the product. This cosmetic clay will create a harder bath bomb that will last longer in the tub and have a stronger integrity. Plus, White clay can be used on even the most sensitive skin to nourish and cleanse. So, this cosmetic ingredient is great for creating bath and body products, like bath bombs! Another lovely cosmetic ingredient is the Rhassoul clay powder. This ingredient is amazing for both skin care and hair care. First, you can use this luxurious cosmetic ingredient to prevent dry, flaky skin, improve firmness, increase skin elasticity, soften the skin, and help with oily skin. Additionally, this cosmetic clay can be used to benefit your hair, as well. Using this ingredient will allow you to rejuvenate and cleanse your hair follicles. So, this cosmetic ingredient can be used for all kinds of bath and body products. This luxurious cosmetic clay is a perfect ingredient for the Chamomile Clay Soap Recipe. Adding this cosmetic clay to your recipe will provide your soap with some extra skin care benefits. So, your skin will be rejuvenated and nourished due, in part, to this lovely cosmetic ingredient. Further, this clay can be useful for adding to the cleansing ability of the soap and can help to reduce oily skin. So, this cosmetic clay would make a perfect addition for creating homemade soaps. 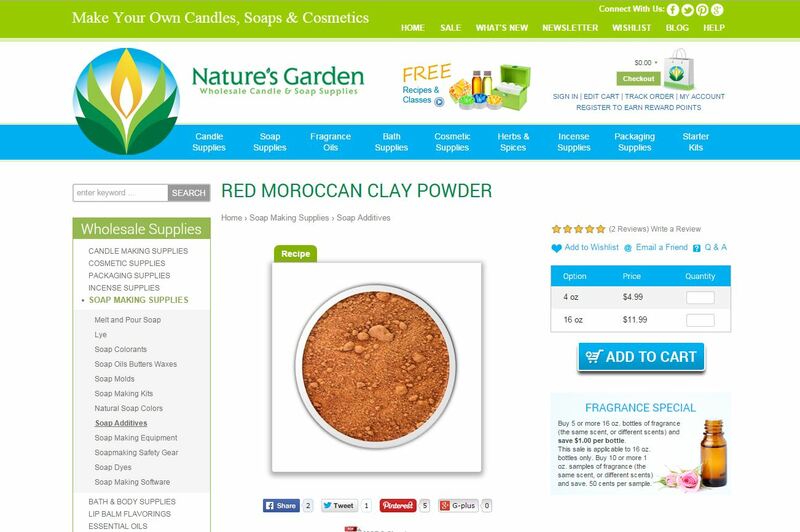 Another great ingredient for bath and body products is the red Moroccan clay powder. First of all, this ingredient can be used to enhance your hair care products. This clay will add to the cleansing properties of homemade shampoos. Additionally, this cosmetic clay can be used to enhance your skin care products. This ingredient is perfect for removing toxins, moisturizing the skin, shrinking pores, improving elasticity, drawing out excess oils, stimulate circulation, exfoliating the skin, and cleansing. So, you are sure to love this cosmetic ingredient in your own bath and body products! This lovely cosmetic ingredient is perfect for creating a lovely facial mask, as it will provide your skin with many benefits. So, adding some red Moroccan clay to your facial masks, like the Firming Facial Mask Recipe, will create a perfect cosmetic product. The red Moroccan clay will improve your complexion and leave your face feeling rejuvenated. 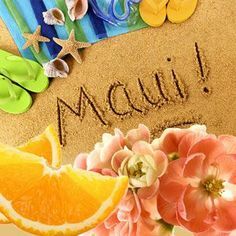 Plus, this recipe includes hibiscus flower powder and adds to the beneficial properties of this cosmetic face mask. So, this would be a perfect facial mask for periodic skin care or rejuvenating your skin as it needs the extra care. Also, you can include some rose clay powder in your bath and beauty products. You can use this cosmetic ingredient to provide a pretty, natural color of pink to products. Not only is this a gorgeous cosmetic ingredient, but this clay has some benefits for the body. This cosmetic ingredient can be used to exfoliate the skin, reduce inflammation, promote new cell growth tighten pores, rejuvenate elasticity, remove harmful toxins, and remove wrinkles. Also, this clay can be used to reduce wrinkles, scarring, and hyperpigmentation. This means that adding this cosmetic oil to your bath and body products will benefit your skin and leave your skin looking amazing! You can create some wonderful bath and body products with this pretty cosmetic ingredient. You are sure to have a gorgeous pink color after adding the rose clay powder to this Whipped Rose Clay Shaving Cream Recipe. Not only will rose clay provide a gorgeous body product, but this cosmetic will provide your body with some benefits. This clay will exfoliate and cleanse your skin. Plus, this cosmetic clay will nourish your skin as the product helps protect your skin as you shave. The Whipped Soap Base will protect your skin and the cosmetic clay will nourish your skin. So, you will have skin that is smooth and gorgeous. Dead Sea clay powder is a perfect cosmetic ingredient for creating your bath and body product. First, this clay is known for helping issues, like fibromyalgia, joint inflammation, muscle aches, and stiffness. So, this cosmetic ingredient would be useful for creating products you can use to soak in the tub, like bath bombs! Also, this cosmetic clay is perfect for reducing dry skin, eczema, and acne. Further, this clay can be used to create hair care products, as this ingredient can promote hair growth, strengthen hair growth, and preventing hair loss. These properties make this cosmetic ingredient perfect for all kinds of bath and body products. One fun way to incorporate Dead Sea clay into your products is the Mechanics Soap Recipe. This melt and pour soap uses clays and herbs to naturally color and swirl this lovely soap. Not only does this soap use cosmetic ingredients for aesthetic, but these ingredients care for your skin. The Dead Sea clay will care for your skin. So, this bar of soap is helpful for treating dry skin or eczema. These properties and the other ingredients’ properties create a perfect soap for your soap. French green clay powder is perfect for creating lovely bath and beauty products that your body is sure to love. 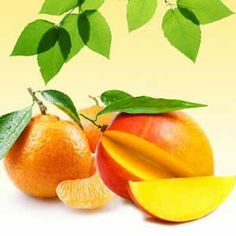 First, this cosmetic ingredient has a high absorption and is great for detoxifying the skin. Plus, this clay is useful for treating sore muscles, arthritis, bruises, cuts, stings, and insect bites. This cosmetic clay is great for skin care, so this ingredient is perfect for shrinking pores, removing impurities, and relieving the pain of sunburn. So, this cosmetic clay is amazing for creating luxurious bath and body products. The Golden Clover Bath Bombs Recipe is a great product to include French Green Clay Powder. Adding this cosmetic clay to your bath bomb will provide your skin with nourishment and care. As you soak in the tub with your gorgeous bath product, the cosmetic clay will work to shrink your pores and remove your toxins. 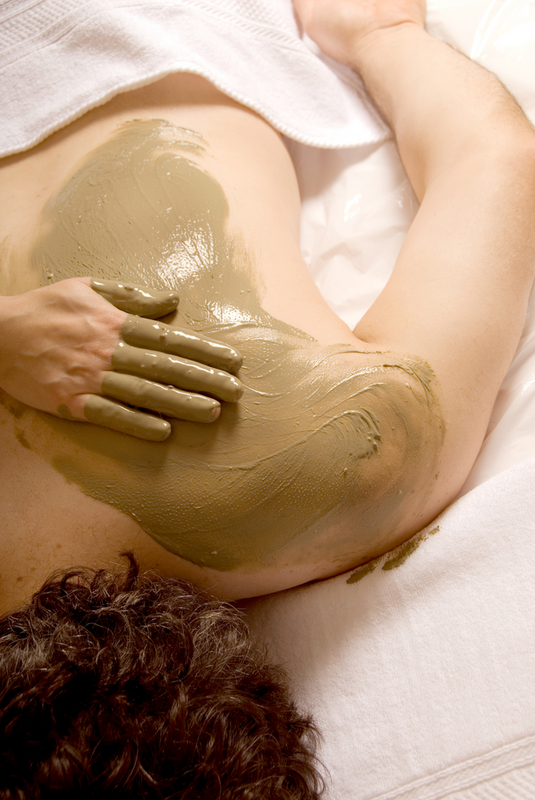 Plus, soaking in this clay could help to reduce pain from certain issues, like sore muscle or arthritis. Not only will this product be gorgeous and glittery, but the clay will help to make this product amazing for your body. Not only can clay be amazing for achieving flawless skin, but clays can be used for pottery, too. In fact, the Chinese often use Kaolin White Clay for making porcelain and this clay is sometimes referred to as China Clay or Ceramic Clay. If you are interested in learning about more ways to use clay, then check out The Basics of Pottery Clay article by The Spruce. This article talks about the basics of pottery and mentions the way that Kaolin Clay can be used to create your projects. We hope that you have enjoyed learning about our various cosmetic clays and the recipes that we have incorporated them into. If you would like to find more recipes that use cosmetic clays, then you can check out our Cosmetic Clays Class and learn about all of the cosmetic clay we have to offer. Then, click on your favorite clay to find the recipes that we have used it to create. Also, those that have questions can find us on one of our social media pages. We have a Natures Garden Facebook page. Also, we are on Twitter and Instagram, @ngscents. We can’t wait to hear from you! This entry was posted in bath and body, bath products, cosmetic clays, kelp, Natures Garden, spa product ingredients and tagged bath and body ingredients, bath and body products, bath products, bentonite clay, bentonite clay uses, body wrap ingredients, body wraps, body wraps with kelp, can i make my own body wraps, can i put sea salt in a body wrap, cosmetic clay in body wraps, cosmetic clay uses, cosmetic clays, free body wrap recipes, free recipes, homemade body wraps, homemade spa products, homemade spa treatments, how to make a body wrap, how to use clay in body wraps, kelp, kelp uses, natures garden, recipes for body wraps, recipes with kelp, sea salt, sea salt in body wraps, sea salt uses, spa product ingredients, spa products, uses for kelp, what goes in a body wrap on February 2, 2015 by Deborah Ward. Hello everyone! For all you crafty and creative people out there, are you into spa treatments? You know, like mud masks, face masks, body wraps…the works! Are you looking for the perfect recipes that you can make at home to make yourself feel like you’ve just been transported right to an amazingly peaceful spa? Well, here is our awesome new recipe for a Kelp Body Wrap. This is one recipe that is sure to bring the amazing feeling of just relaxing at a spa, plus it works to tighten your skin, remove toxins from the skin, and bring it a warm and healthy feeling! This kelp body wrap will help to reduce water retention and swelling, allowing you to reduce inches before that special event you plan to attend. First, weigh out 1000 grams of distilled water. Then measure out 295 grams of Sea Salt and 405 grams of Bentonite Clay. Also make sure to measure out 123 grams of your Kelp Powder. Then you can pour all of these ingredients into your water and mix it thoroughly together. Let the mixture sit and thicken. When your mixture has thickened, you can begin to cover your body in it. (It will be much easier for you if you start from your feet and work your way up your body.) When you are fully covered with the mixture, wrap plastic saran wrap around yourself. Again, starting from your feet will make it much easier for you. Then go ahead and sit in your bathtub for about half an hour to an hour. Make sure the tub is empty, no water! However, make sure to cover yourself in warm towels to help the wrap draw out toxins and water retention! Once your time is up, go ahead and remove the saran wrap and then wash the mixture off of your body! These results should last for a few days! This body wrap will help to reduce your water weight as well as bringing many wonderful benefits for your skin! If you want to make this wrap to repackage and sell it, you will need to use Optiphen to preserve it! Doesn’t this wrap just sound amazing? Do you know what all this wrap can do for your skin? Kelp actually helps to moisturize your skin, helps to slow down the aging process, combats discoloration, and it also works to draw out any impurities! The Bentonite clay has many great skin benefits as well! It actually helps to soften and tighten the skin, as well as removing any excess oils! This wrap is the perfect way to make you feel like you’ve just taken a girls day right to the spa! This wrap is sure to bring a feeling of relaxation to your life! You could even have a girls’ day with all of your best girl friends right at home with this amazing recipe! Make sure to check out all the rest of our wonderful free recipes and classes as well! Please don’t hesitate to contact us here at Nature’s Garden with any thoughts, questions, or concerns you may have! 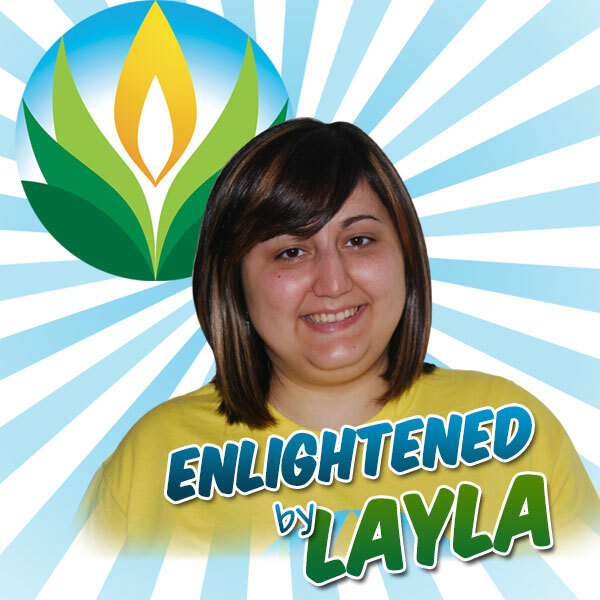 Enjoy this fantastic product and keep watching for more Enlightened by Layla! This entry was posted in bath and body, bath products, clays, cosmetic clay, Natures Garden, red Moroccan clay, Soap making supplies and tagged advantages of cosmetic clay, advantages of red moroccan clay, bath and body, bath and body products, benefits of cosmetic clay, benefits of red moroccan clay, clay, clays, cosmetic clay, cosmetic clay advantages, cosmetic clay benefits, cosmetic clay recipes, cosmetic clay uses, cosmetic clays, free recipe, free red moroccan clay recipes, homemade, homemade cosmetics, natures garden, rainy day crafts, red Moroccan clay, red moroccan clay advantages, red moroccan clay benefits, red moroccan clay in bath and body products, red moroccan clay in cosmetics, red moroccan clay recipe, red moroccan clay recipes, red moroccan clay uses, uses of cosmetic clays, uses of red moroccan clay on December 13, 2014 by Deborah Ward. Hello everyone! I hope you’re all having a wonderful week! Have you used any clays in your products recently? Any cosmetic clays? Red Moroccan clay to be specific? Red Moroccan clay would be the perfect product to use to impress your customers and friends with a new twist on your projects! Or maybe you’re just looking for something new and exciting to try for your own homemade bath and body products? Red Moroccan clay people! I’m telling you, this is one product you just have to try! So let me tell you just a little bit more about it, because I am sure you will absolutely love it! It can be used in so many different industries and products too! Did you know that Red Moroccan clay was once reserved only for the use of royalty in ancient Egypt? Red Moroccan clay actually originated and was first found in the Atlas Mountains in Morocco. It is actually one of the most rare and most pure clays on this whole Earth! One of its many uses is for preparing body for Turkish baths. Red Moroccan clay actually contains many nutrients that are very important to the body. It contains potassium, silica, iron, magnesium, and sodium. There are so many wonderful red Moroccan clay uses. It can be used in many different industries and products, and especially in bath and body products. Common bath and body products that include red Moroccan clay are face masks, sugar scrubs, salt scrubs, shampoos and conditioners, soaps, bath bombs, mineral baths, and even deodorizing feet treatments. When used in all of these products, red Moroccan clay has many amazing benefits. It can benefits your skin by shrinking pores, adding moisture, and improving texture and elasticity. 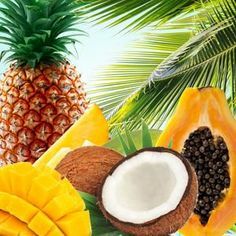 It also helps to remove impurities and toxins from the skin, stimulate circulation, draw out excess oils, and it even cleanses, nourishes, and exfoliates your skin. Your hair can benefit from this cosmetic clay as well! It helps to cleanse the hair and scalp as well as enhancing the hair. There are even some medicinal benefits to red Moroccan clay uses as well. It helps to treat poison ivy, poison oak, and many other rashes as well. Are you wondering what to use this awesome product in? Well, don’t worry because here at Nature’s Garden we offer many wonderful free recipes and classes and our Mechanics Soap and our Firming Facial Mask both just happen to be made with red Moroccan clay. 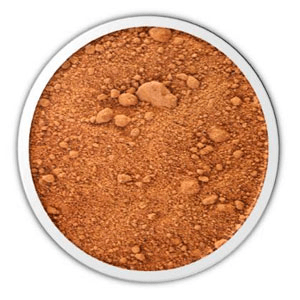 When you type either “red mo clay” or just “red clay” into the search bar on our website, it will take you directly to our Red Moroccan Clay Powder page. When you get to that page, on the top of the clay picture, there will be a little green box labeled “Recipe.” If you click on that, it will show you the names and pictures of our Mechanic Soap and Firming Facial Mask. When you click on either of those, they are actually direct links straight to those amazing recipes! Make sure to try them out as soon as possible! Enjoy this great product and keep watching for more Enlightened by Layla! This entry was posted in bath and body, bath products, cosmetic clays, cosmetic ingredients, Natures Garden, Soap making supplies and tagged advantages of cosmetic clays, advantages of rhassoul clay, bath and body, bath and body products, benefits of cosmetic clay, benefits of rhassoul clay, clay for hair care, clay for skin care, clay in bath and body products, clay in cosmetics, clay in homemade cosmetics, clays for cosmetics, clays in bath and body products, clays to use in cosmetics, cosmetic clay advantages, cosmetic clay benefits, cosmetic clay uses, cosmetic clays, cosmetics with clay, crafts as a hobby, crafts for a rainy day, homemade, natures garden, rainy day crafts, rhassoul clay, rhassoul clay advantages, rhassoul clay benefits, rhassoul clay in bath and body products, rhassoul clay in cosmetics, rhassoul clay uses, uses for cosmetic clays, uses for rhassoul clay, uses of rhassoul clay on December 8, 2014 by Deborah Ward. Hello everyone! Are you in the mood for something new and exciting to try for your next project? Maybe you’re just looking for something to spice up all of your homemade cosmetics? Or perhaps you’re looking for a new product that is sure to entice your customers? Well, have you ever tried any projects using cosmetic clay? Yes, clay! Cosmetic clay actually has so many uses, and so many wonderful benefits to using it in your products! 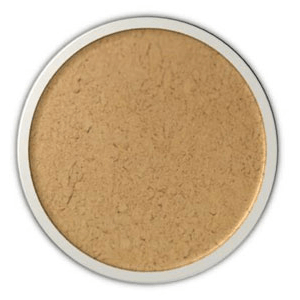 Here at Nature’s Garden, we actually offer seven different cosmetic clays, but I’m actually going to talk about our amazing Rhassoul Clay! This is one product that you should try in your products as soon as possible! Did you know that rhassoul clay actually has many other names? While best known as rhassoul, it is also called Ghassoul Clay, Oxide Clay, and even Red Clay. While it is very similar to Red Moroccan Clay, don’t let yourself get confused between the two! In Arabic, rhassoul literally translates to “that which washes.” Rhassoul is found in the Atlas Mountains all the way in Morocco. Did you know that due to its’ amazing therapeutic benefits, rhassoul clay has actually been used for just that purpose for over 1400 years? It offers many minerals that are very important and essential to the body such as sodium, iron, potassium, silica, calcium, and magnesium! There are so many fantastic benefits from the Rhassoul Clay uses. Besides all of the wonderful minerals it has, it has many other benefits to your body. For all of you crafters out there, this cosmetic clay can be used in many different bath and body products such as bath bombs, body masks, face masks, shampoos, skin conditioners, salt scrubs, mud baths, sugar scrubs and soaps. When you use it in these products, rhassoul clay offers many medicinal benefits. For example, when used for hair care, it helps to cleanse and refresh your hair follicles. For skin care benefits, rhassoul clay can be used to reduce pores, remove dead skin cells, refresh and cleanse the skin, and also tone and smooth out the skin. 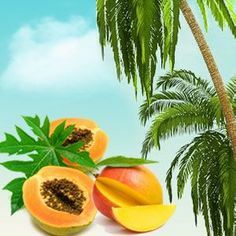 It also helps to remove excess oils from the skin, improve skin elasticity, reduce dryness, improve the firmness of the skin, reduce flakiness, and it also works as a detoxifying agent for the skin! Are you completely intrigued with this great product now? Wondering how to get your hands on it as soon as possible? Well, all you have to do is type “rhassoul” into the search bar on our website and it will take you directly to our Rhassoul Clay Powder page! But while you’re there, make sure to check out all of our amazing free classes and recipes and the rest of our wonderful cosmetic clays as well! I’m sure that you will love each and every one of them! They are all sure to be instant hits with your customers and your friends and family! Please make sure to contact us here at Nature’s Garden if you have any thoughts, concerns, or questions and be sure to watch for more Enlightened by Layla!